Mayor Ron Nirenberg released a statement and several events are planned in the coming week. 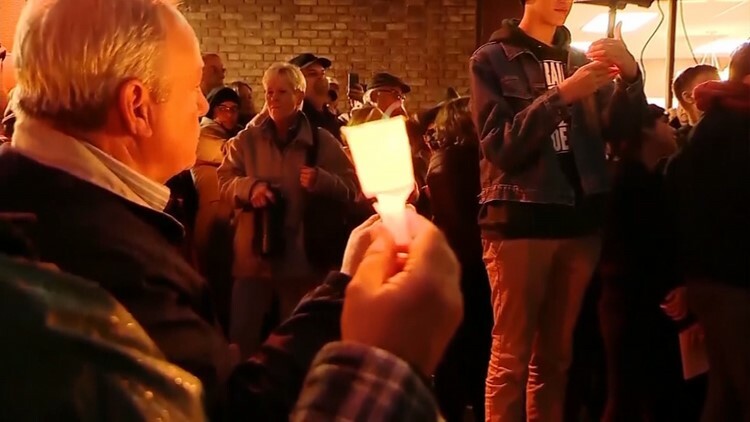 There are multiple events in the Alamo City planned in the coming week to honor those lost and support the community after Saturday's deadly shooting at the Tree of Life Synagogue in Pittsburgh. Rabbi Jeffrey Abraham of congregation Agudas Achim announced there is also going to be a community-wide Memorial Service on Tuesday at 7 PM at Temple Beth-El. The community is also invited to the congregation's Shabbat on Saturday morning. It is the scheduled Military Shabbat at Agudas where they recognize those who have defended or are currently defending our freedom. "It is appropriate that we use this moment in time to come together as a community to both appreciate those who defend us as well as showing that we will not give into the hatred and anti-Semitism in our world," Rabbi Abraham said. "San Antonio stands in solidarity with the people of Pittsburgh. The anti-Semitic hate crime at Pittsburgh's Tree of Life Synagogue is evil. Such horrendous acts are becoming too common in our society. Our hearts go out to the families who are suffering because of this act. We mourn their loss with them. People of all faiths must be able to worship without fear of violence, and we must resolve to ensure their security. Our communities and the nation as a whole must stand strong against intolerance and strive toward a path of compassion and understanding that heals the deep animosities that are plaguing our society."